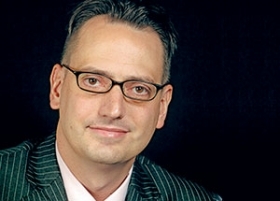 Hans Greimel is Automotive News' Asia editor. TOKYO -- With Japanese Prime Minister Shinzo Abe in Washington to meet President Barack Obama and address Congress last week, automakers were watching for signs of progress toward a controversial free-trade pact. The U.S. carmakers, in particular, were watching nervously -- and rightly so. The Detroit 3 have little to gain by having Japan in the deal, even if the U.S. wins auto import concessions from Tokyo. The U.S. is leading the push to create the so-called Trans-Pacific Partnership, a free-trade agreement among 12 Pacific Rim nations. But autos remain a stubborn sticking point between the group's anchor economies: the U.S. and Japan. Japan wants the U.S. to abolish its tariffs on auto imports: a 2.5 percent tariff on Japanese cars and a 25 percent duty on light trucks. The U.S. has put that on the table, but the wind-down could proceed over decades, painfully too slow for the Japanese. Meanwhile, Japan imposes no tariffs on U.S. imports. But that hasn't stopped U.S. automakers from slamming its policies. They want action on a host of so-called nontariff barriers. Those include alleged currency manipulation that benefits Japanese exporters and Japan's onerous import screening process. Then there are other irritants such as Japan's peculiar minicar market. It's a segment unique to Japan and one in which the domestic automakers' tiniest cars enjoy huge tax advantages over bigger vehicles, including virtually all of those sold by foreign brands. But Detroit's concerns ought to run deeper than just access to Japan's shriveling domestic market. While it may still be one of the world's biggest markets, it has been in continual decline since 1990. Even if Japan caves to all the U.S. auto demands, how many more cars can Ford Motor Co., General Motors and Fiat Chrysler expect to sell in Japan, where their brand power has atrophied to laughable lows? A look to South Korea, which signed a free-trade agreement with the U.S. in 2012, shows how a trade deal including Japan would likely play out. In Korea, the big winners from free trade have been the European brands and the Japanese, not the Americans. Indeed, U.S. brands export as few cars to Korea as the British, while the Japanese deftly use the agreement to export to Korea from the U.S.
Korean customers see little reason to buy a mass-market American import when there are plenty of local alternatives. That mindset is even more deeply entrenched in Japan. The real free-trade battle likely has little to do with Japan's access to America, or vice versa. It's about access to the booming economies of other countries in the talks: those in Latin America, such as Chile and Peru, or Southeast Asia, such as Vietnam and Malaysia. That's where Detroit sees bright prospects. Why smooth the road for Japan in those markets by giving Japan a seat at the table? America's brands were never export powerhouses to begin with. All things being equal, how well can they compete as export players in those new markets against Japan's well-oiled export machine? For Detroit, it may pay to stonewall Japan at every turn.